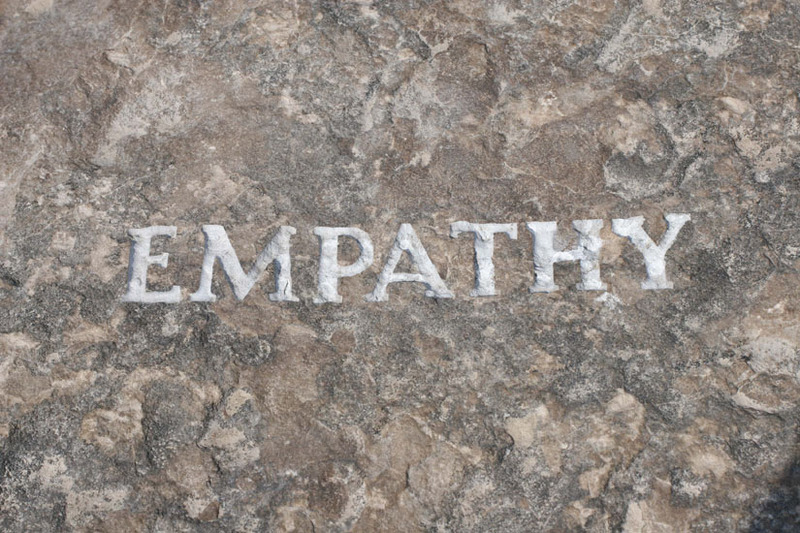 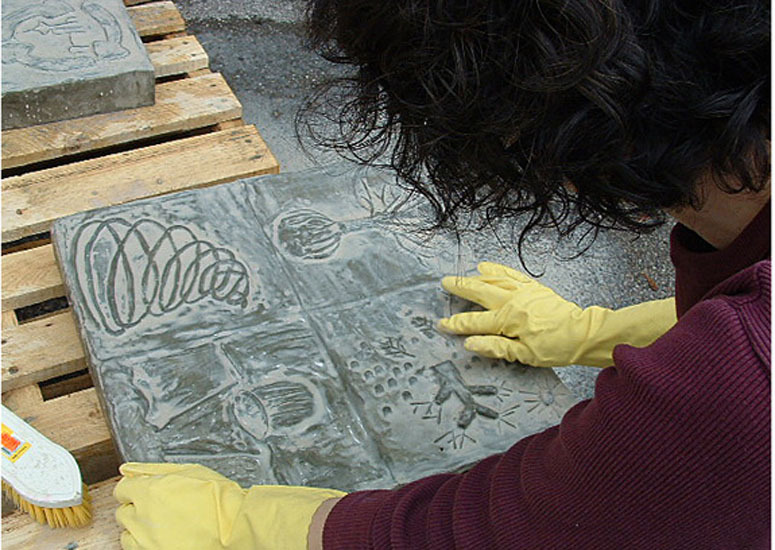 Inspired by Joseph Beuys’ concept of social sculpture, I have considered my role as a facilitator of community art to be an integral part of my artistic practice. 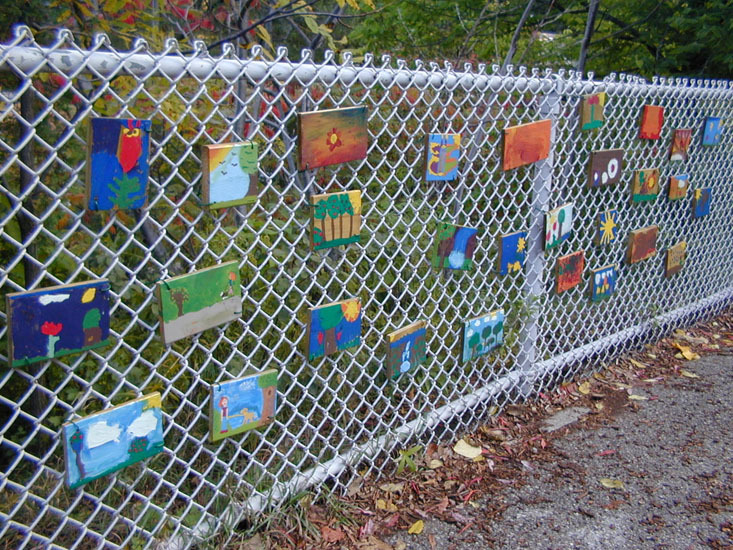 These images depict community art projects that I have helped school children and university students to create and install. 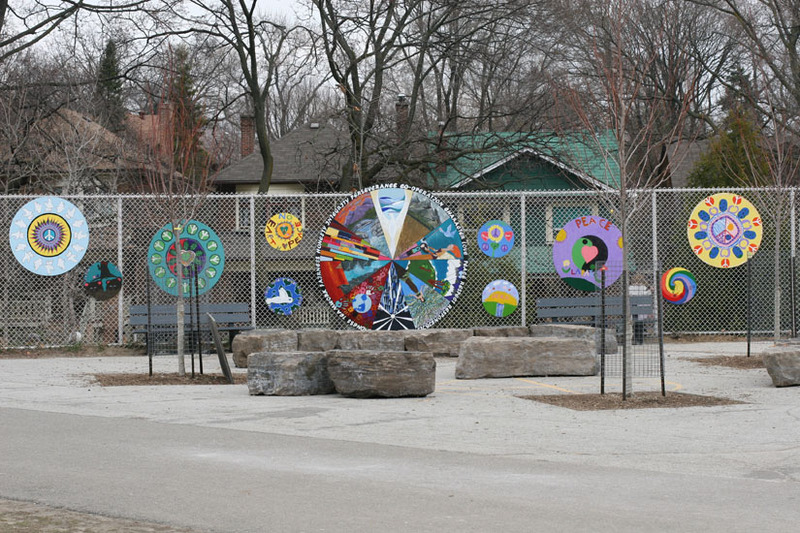 I have helped develop and create a number of art installations over the past ten years, working with other artists, students, and teachers at local schools and in the teacher education program at OISE. 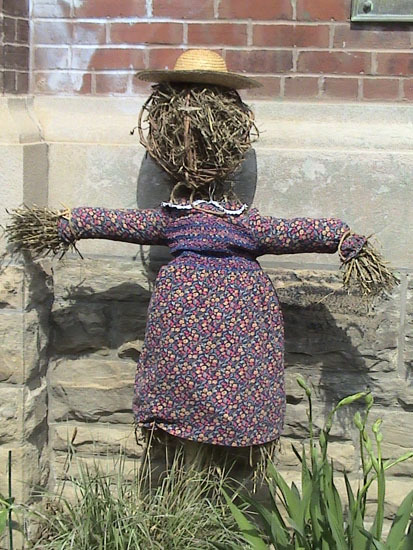 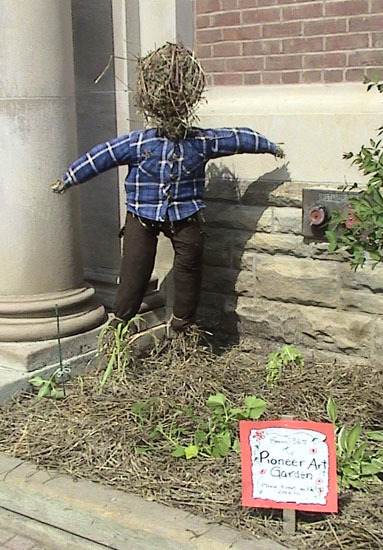 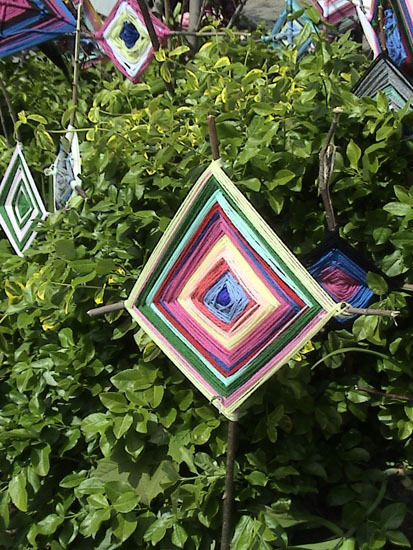 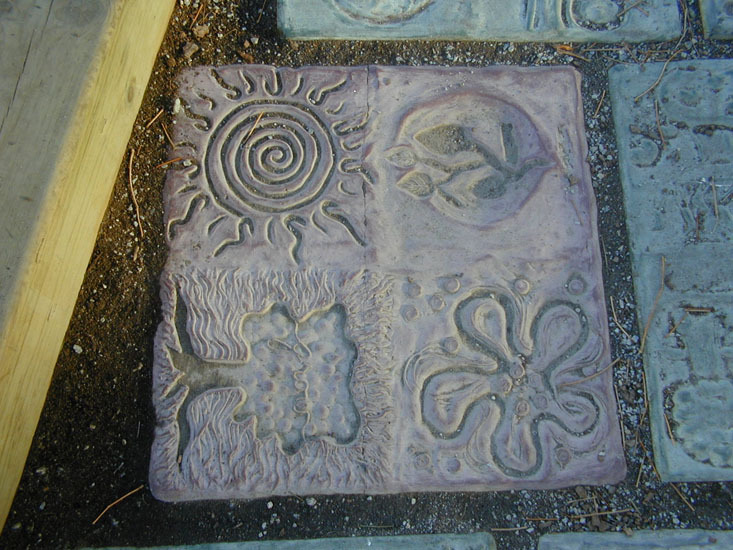 Often the works have themes that relate to nature and the environment, and many have been installed in school yards to become aesthetic and pedagogical interventions. 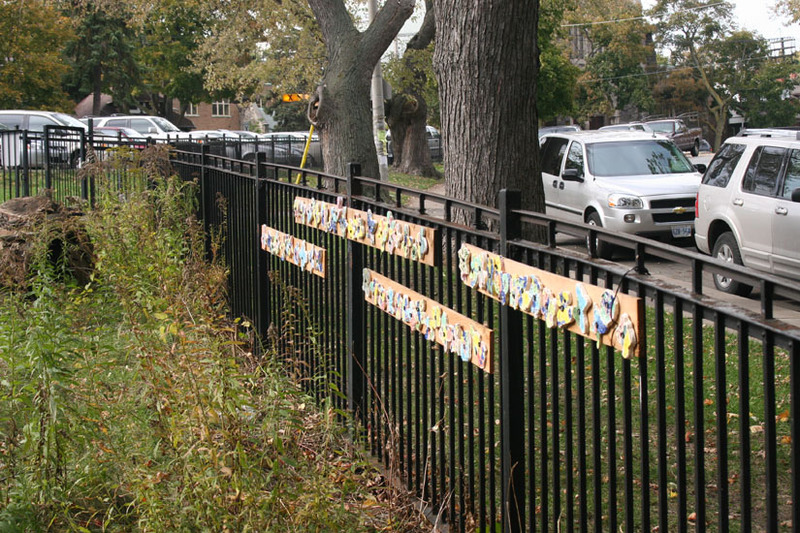 Working from a place-based approach, many of these projects respond to local environmental concerns, helping beginning artists to understand their role in making their communities better places. 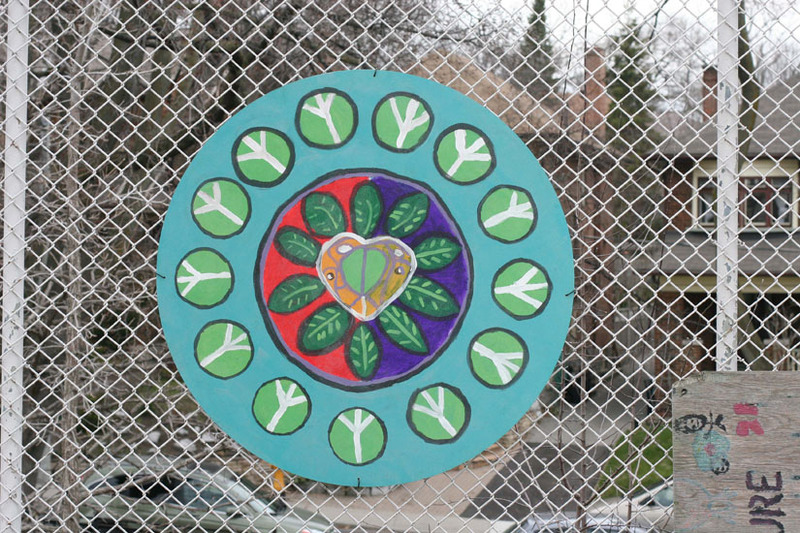 I designed and led this eco-art project, which was intended to encircle this K-8 school with a pathway of environmentally-friendly acts to remind the school community to live a more sustainably. 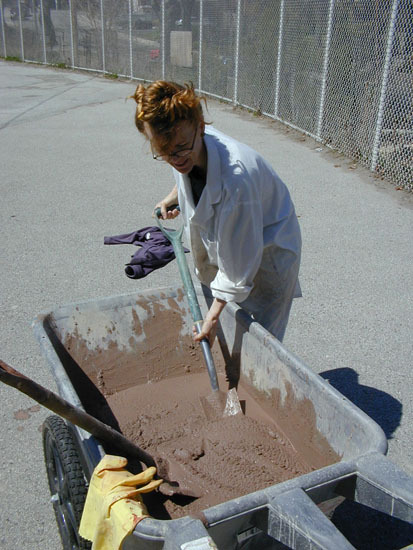 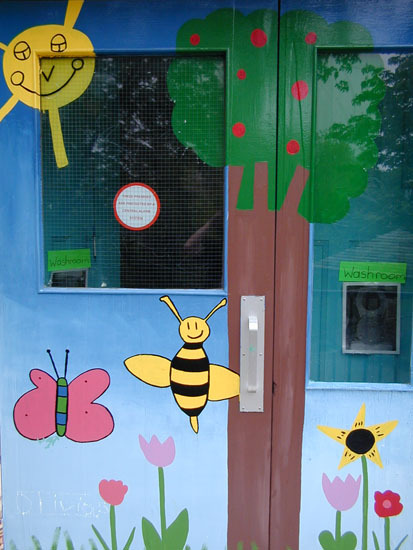 The project started outside with a hunt for “Treasures and Troubles” (the environmental highlights and challenges) in their own schoolyard, but done with a twist: students had to roleplay as artists, custodians, naturalists, as well as animals, insects and trees, to better understand the multiple perspectives of the life forms reliant on their local environment. 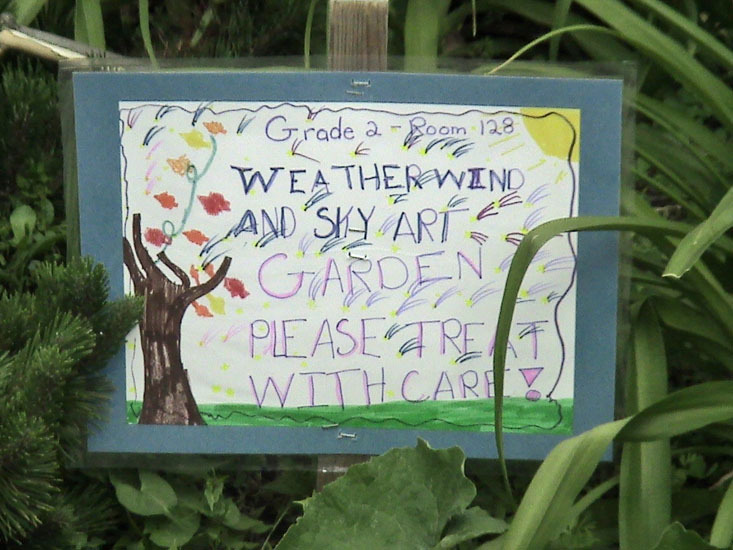 A rich discussion followed, and then students chose a message to share with others that helped to deal with one of the local environmental challenges identified on the tour. 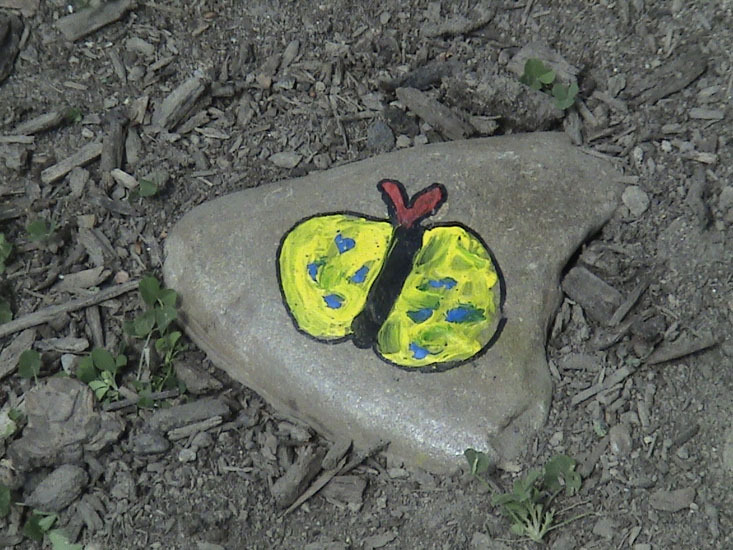 Each student created a leaf painting on the school ground asphalt using a large stencil, and once dry, added a message onto a different leaf to demonstrate their commitment to working collaboratively to solve environmental problems. 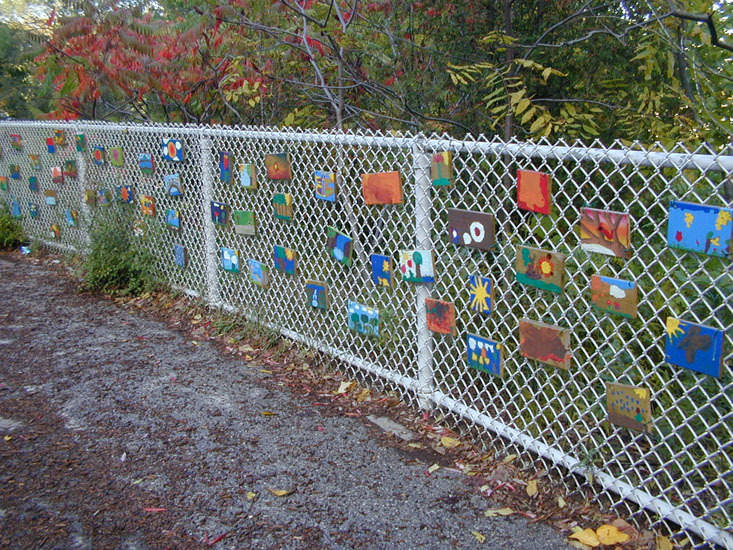 Hundreds of leaves were created by students from grade 1 to 8, with each a unique reminder of their work on the project. 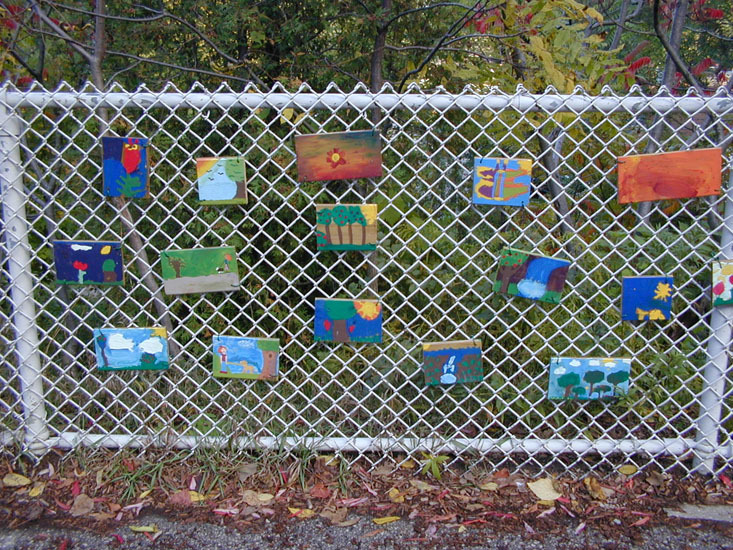 I collaborated with a grade six class and local artist Miriam Grenville to create this series of paintings that focused on local environmental issues in their community. 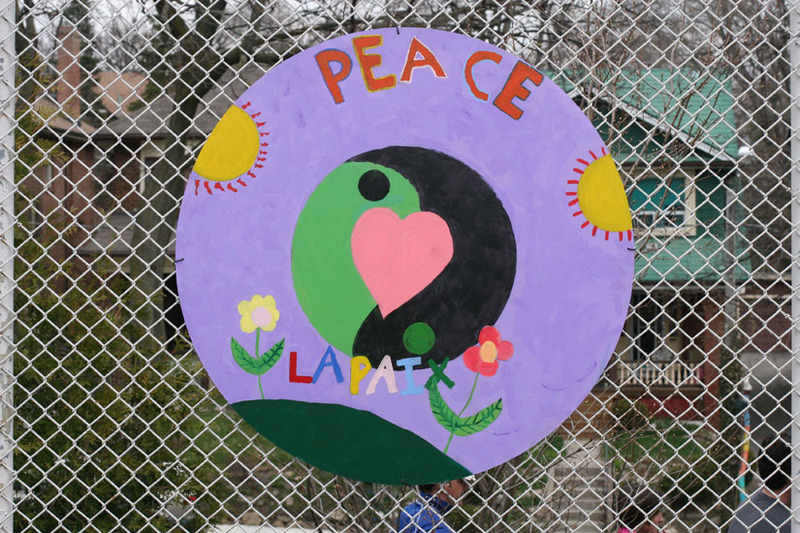 Discussions and a walking tour had them identify these issues themselves; they worked in teams to focus on an issue and then design and create an image and message to help remind the community about how we can all contribute to positive environmental change. 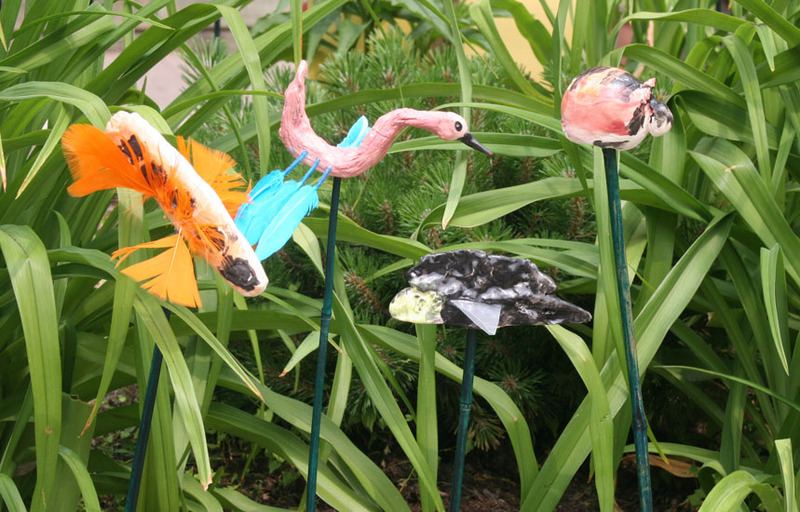 They choose to deal with the themes of littering; idling cars; invasive plant species; erosion; habitat destruction; graffiti; and water pollution. 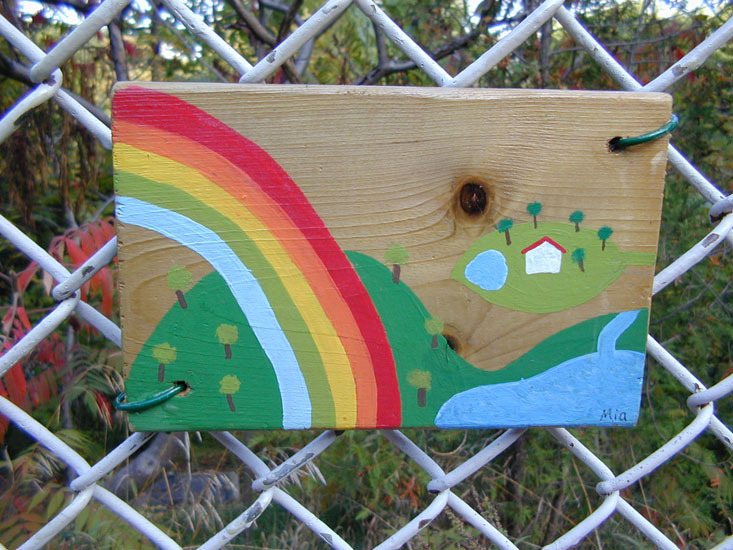 This project inspired the Acts of the Green Pathway the following year. 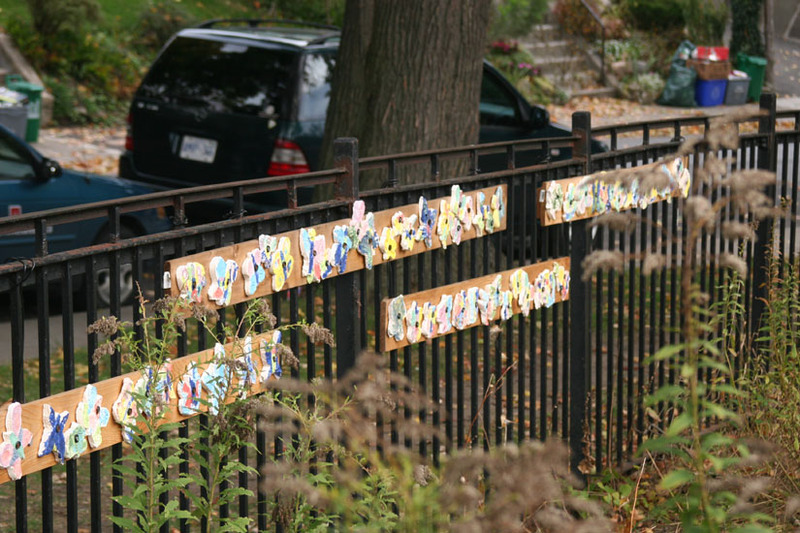 I worked alongside a group of OISE teacher education students to help raise awareness about FLAP, the Fatal Light Awareness Program. 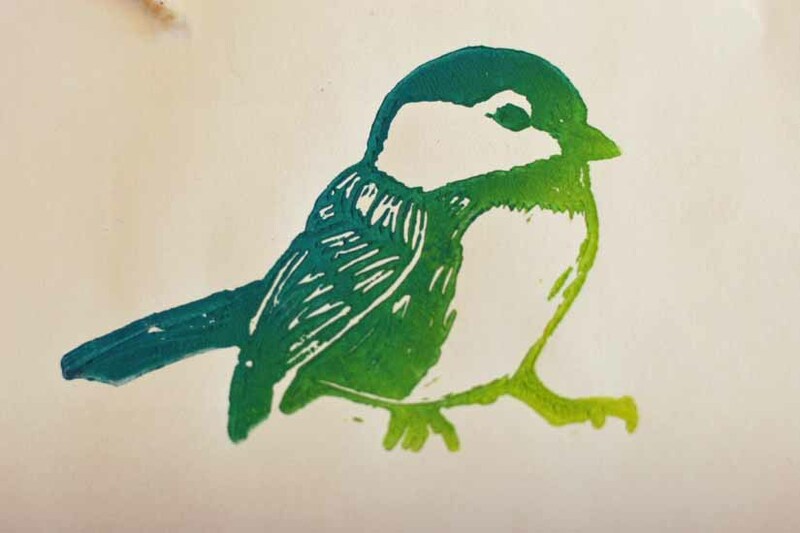 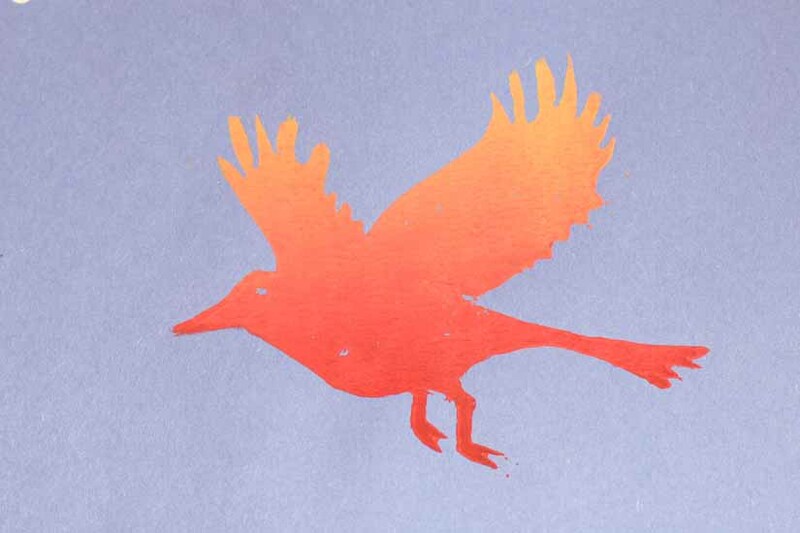 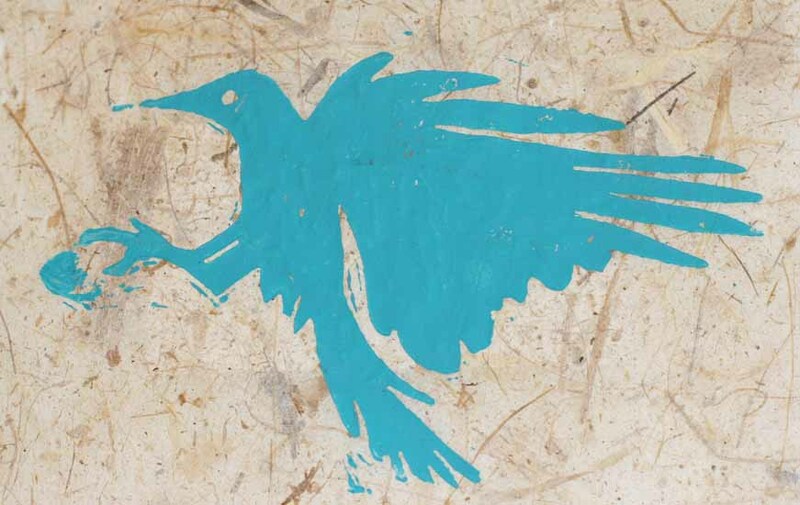 Over 300 handmade prints of birds were created and distributed to all of the exterior offices with windows in the OISE building, reminding faculty and staff to do their part to reduce the number of bird deaths around the building in the spring and fall migration seasons. 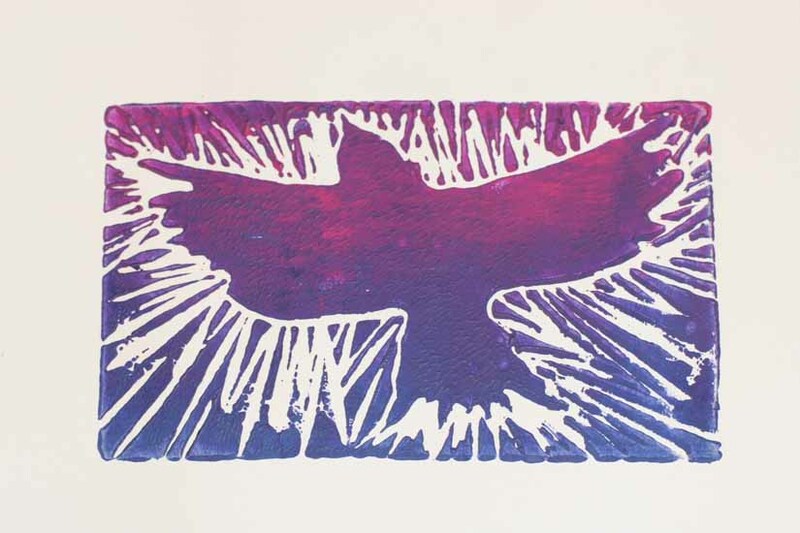 The prints act as artistic reminders for people to close their office blinds each night, turn off their overhead office lights, and use task-focused lighting so as not to attract birds into the windows at night. 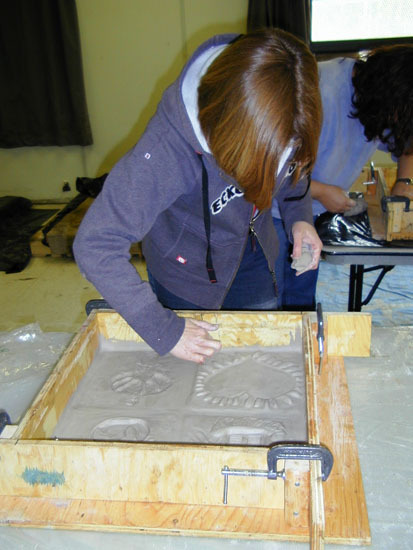 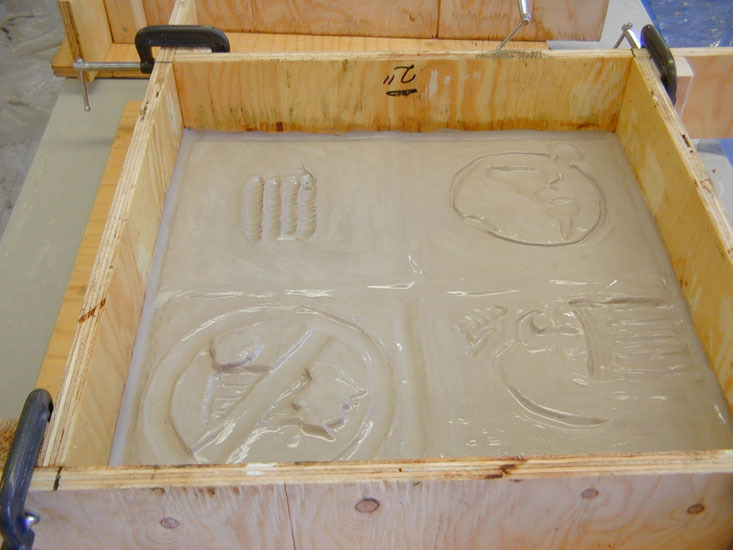 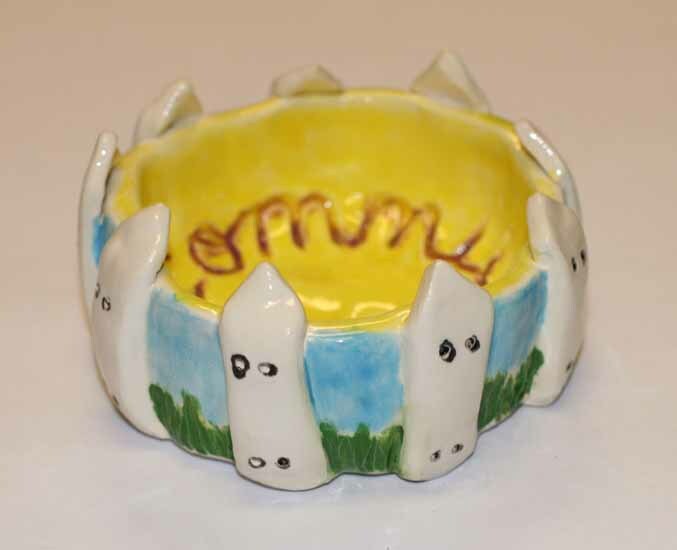 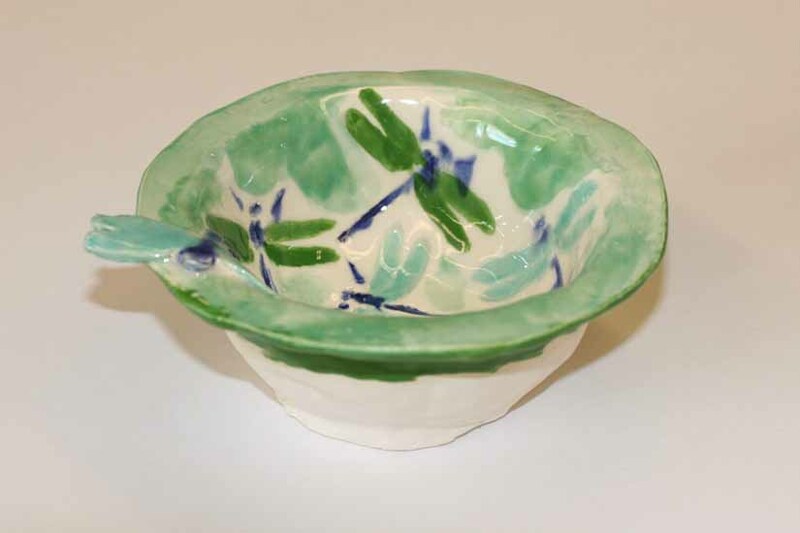 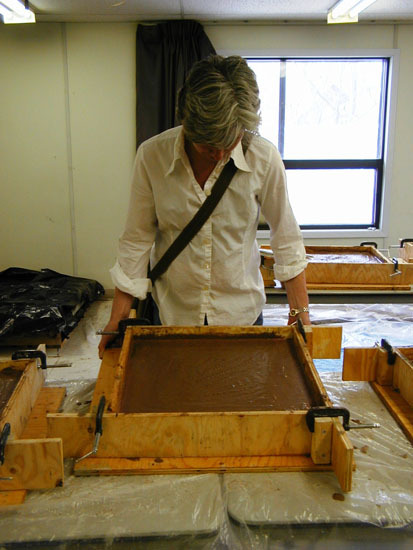 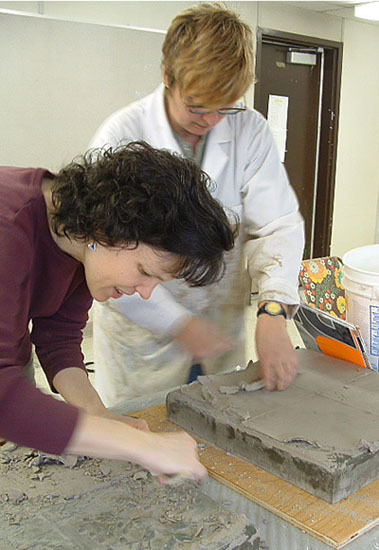 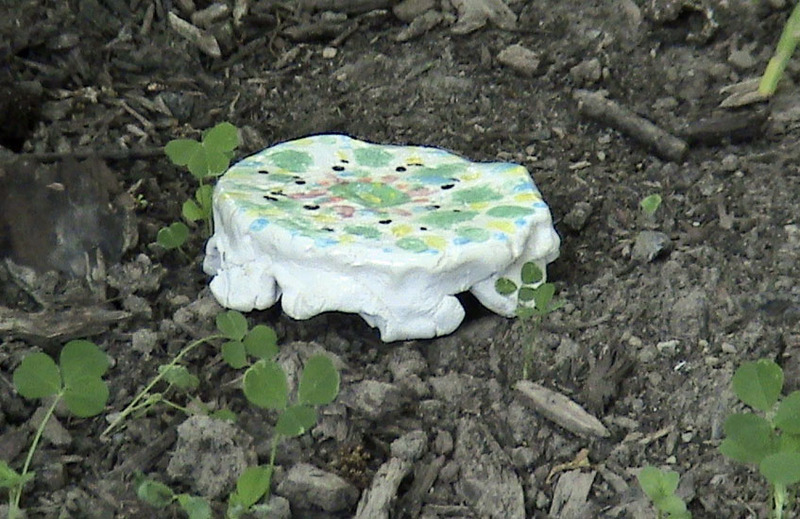 This is an ongoing project at OISE, starting in 2009, that takes its inspiration from an art project started in the US over a decade ago, where a group of clay artists used their artistic skills to create soup bowls for a community fundraiser. 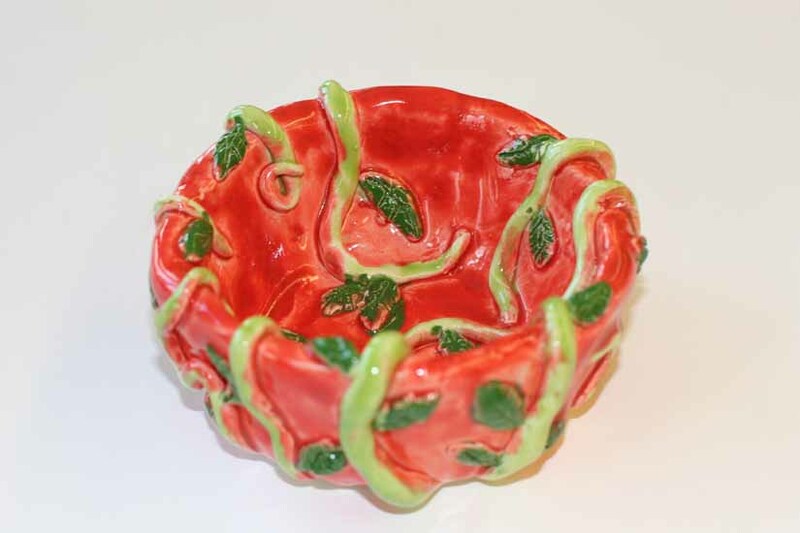 While few OISE teacher education students have these same clay skills, they are taught how to make a basic soup bowl as part of the art education course I teach, and then asked to decorate the bowl with a social or eco-justice concept to share with others. 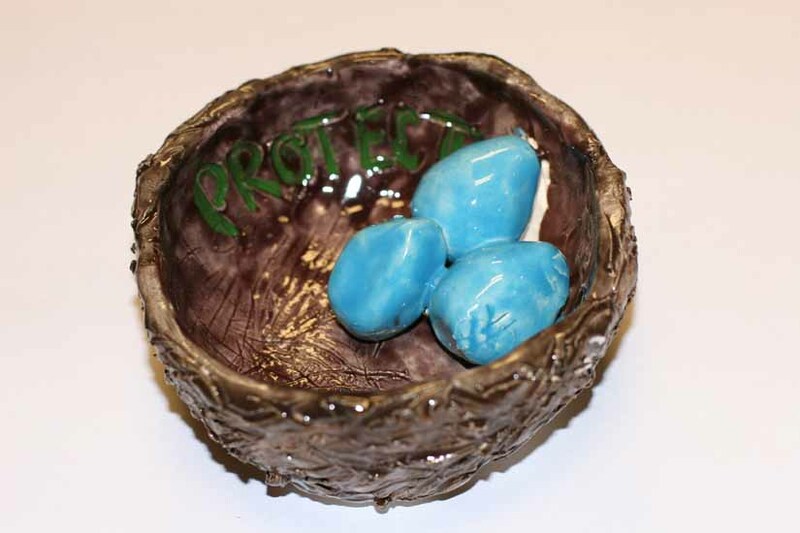 A team of students organizes a year-end community lunch that brings together the students with members of the wider OISE community to highlight their learning in social and eco-justice education; for a donation, attendees get lunch and a hand-made clay bowl to keep. 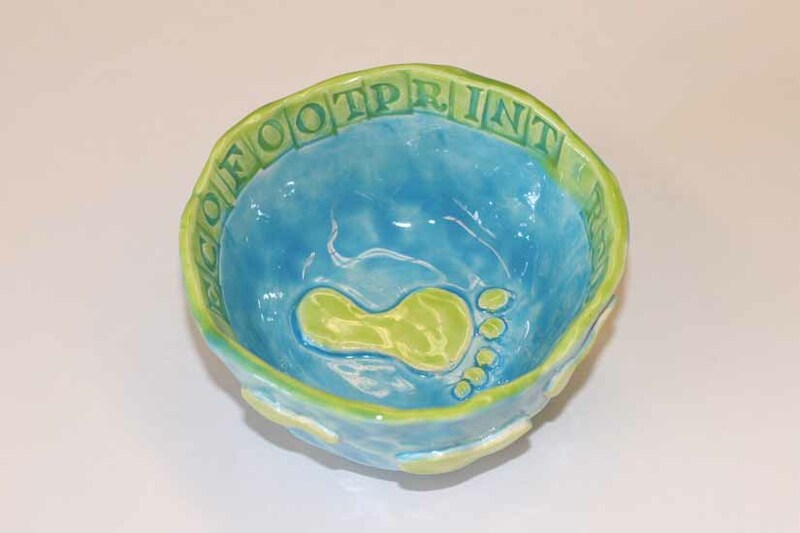 Since its inception, the Empty Bowls Project has raised over $3500 and donated to communities in which OISE’s ITE students have studied, such as schools, community centres and charitable organizations. 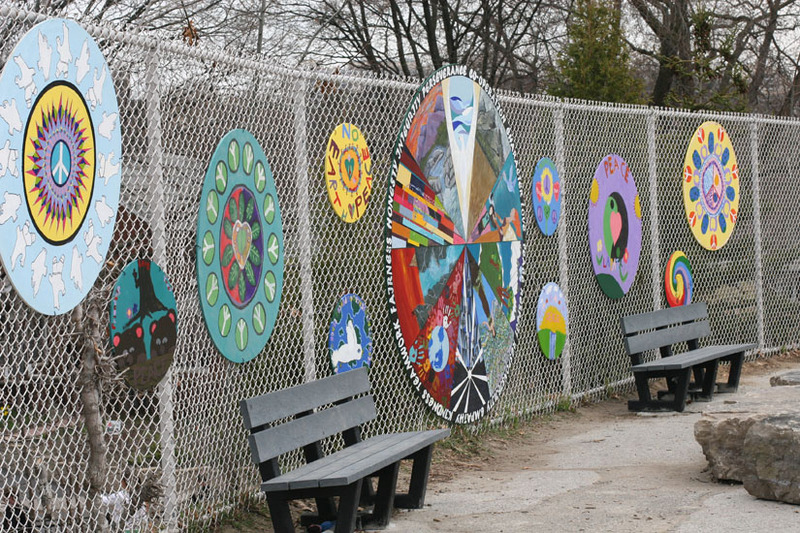 This has allowed students to experience first-hand how the arts can be used to bring about positive social change, and how rich learning can happen as part of the creative journey. 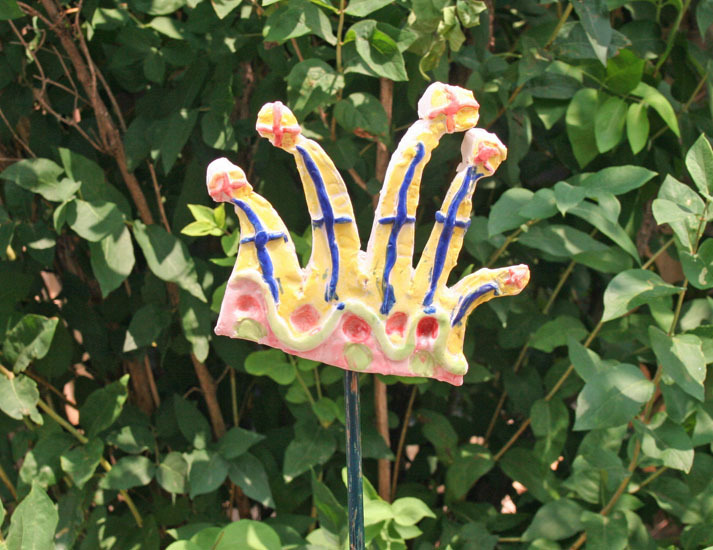 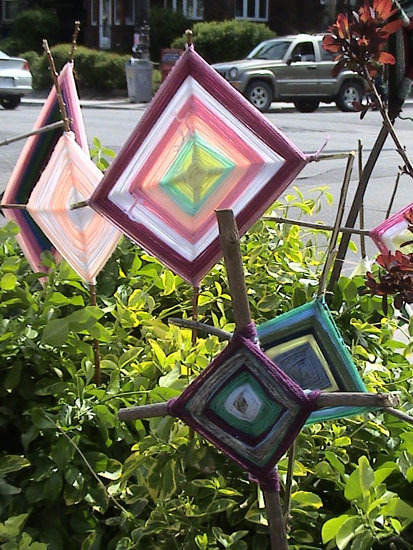 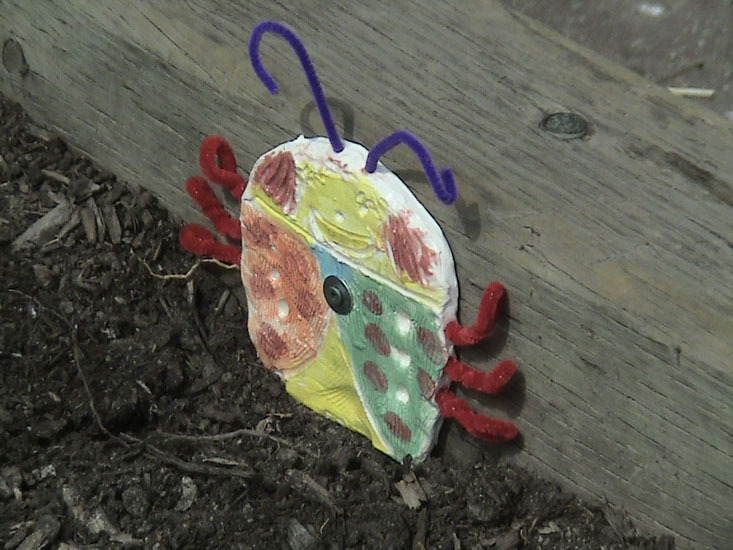 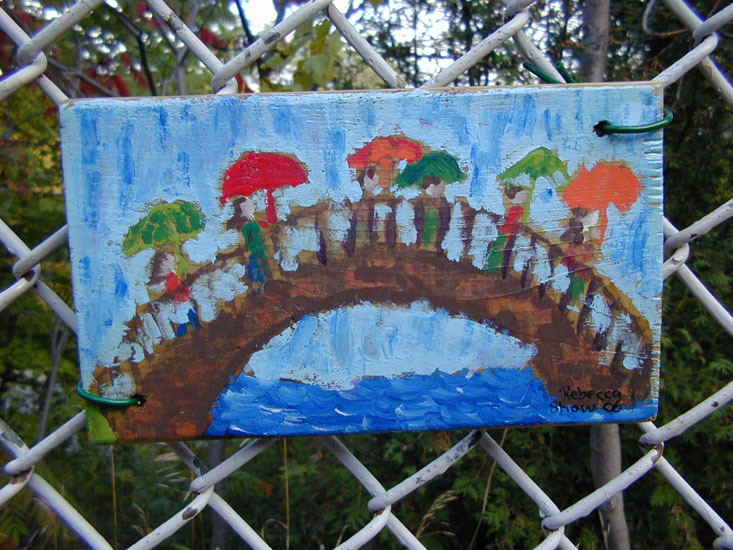 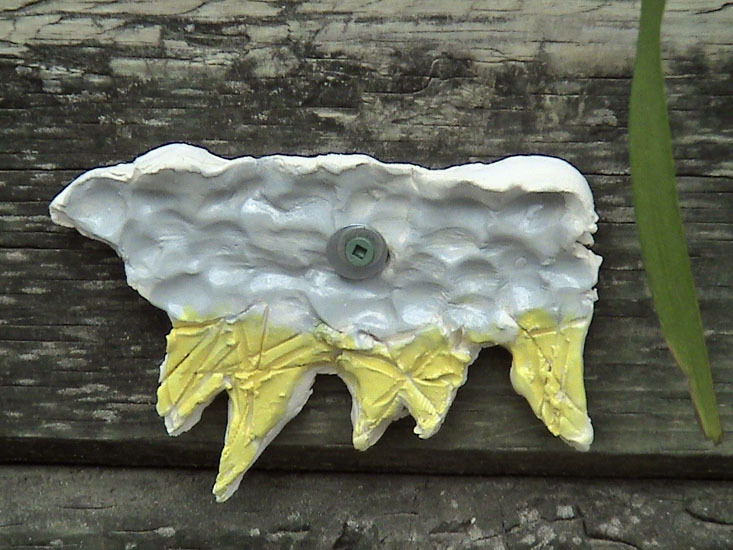 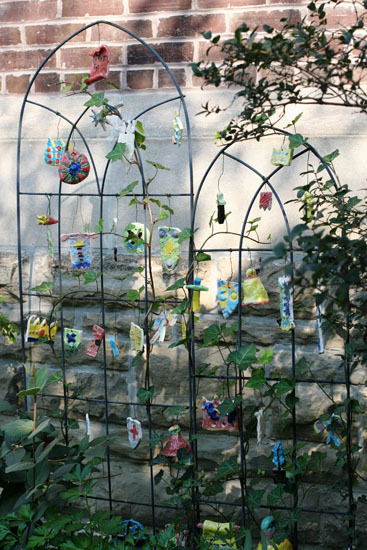 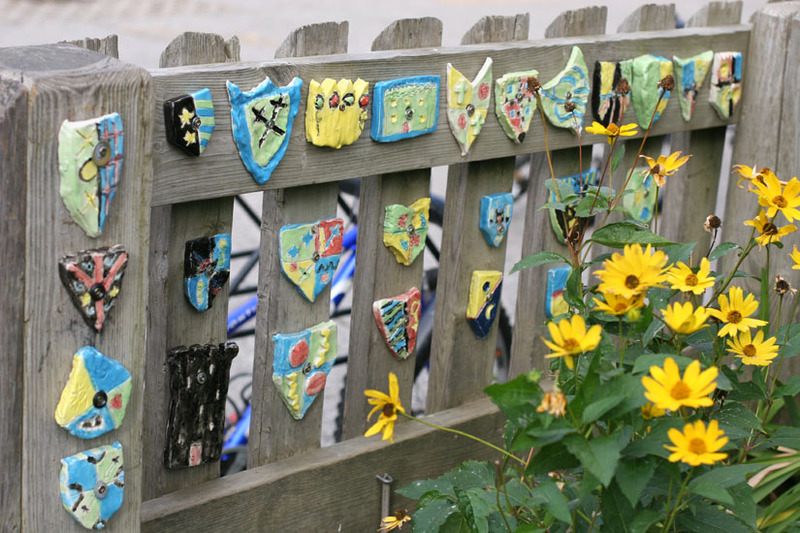 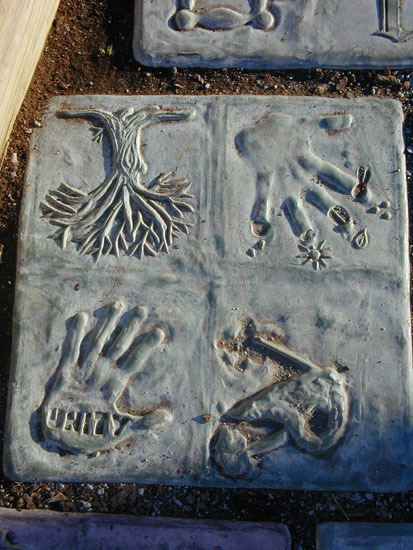 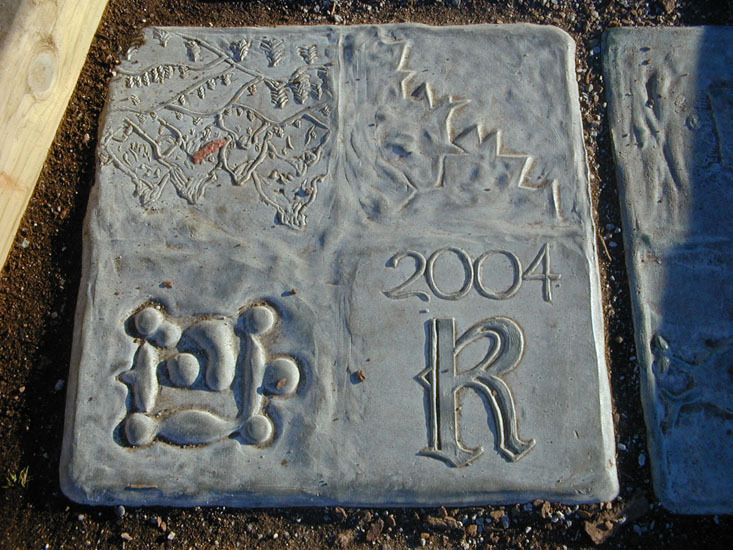 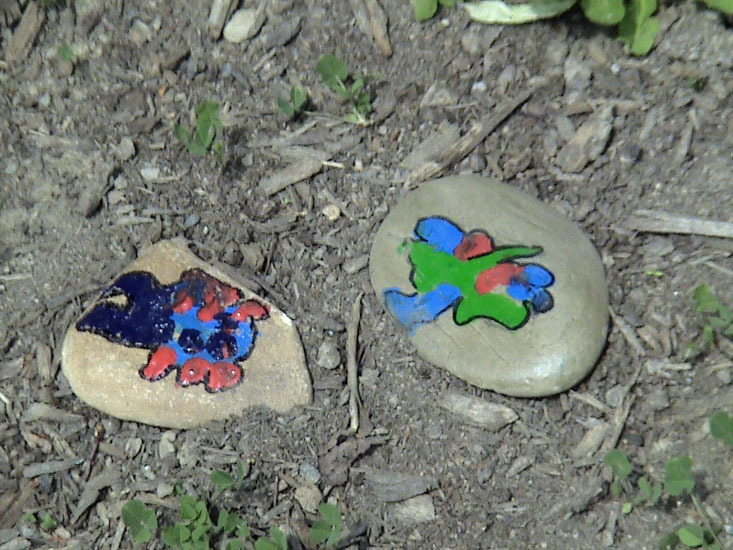 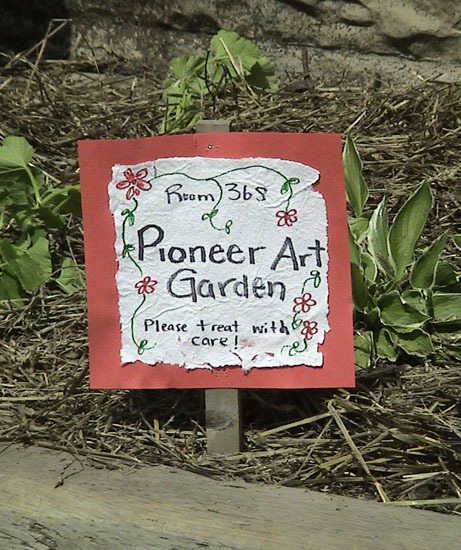 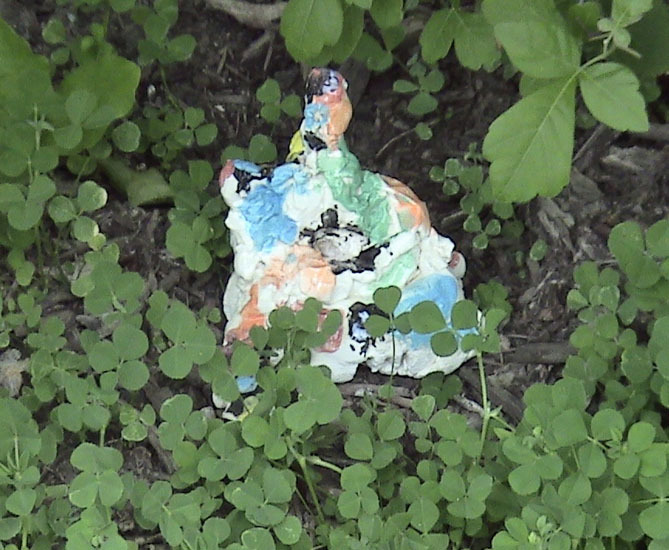 This series of gardens were created with students and teachers at a public school in Toronto in 2007. 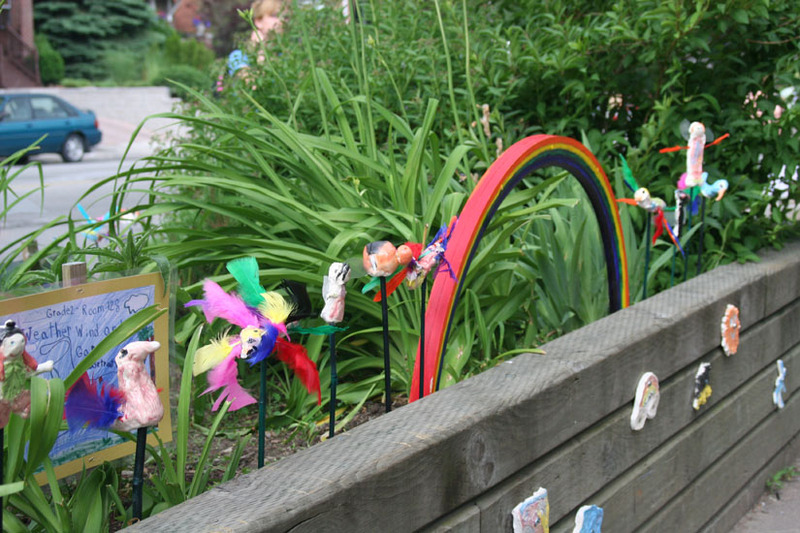 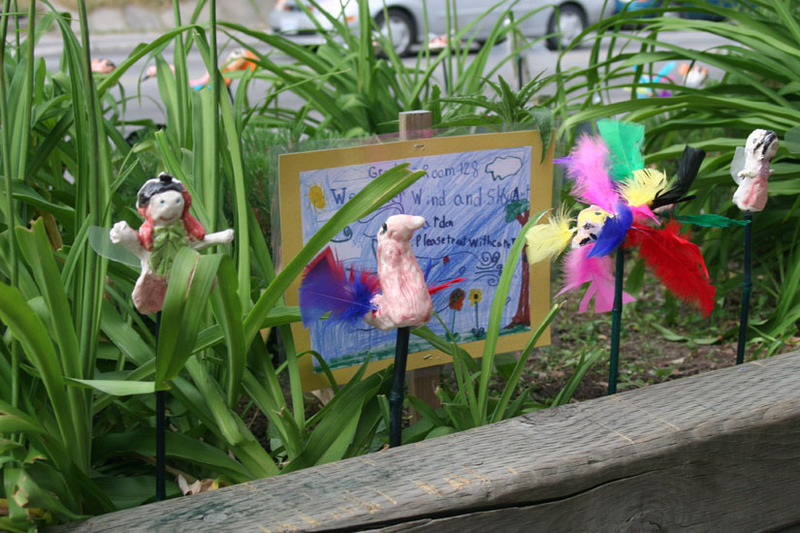 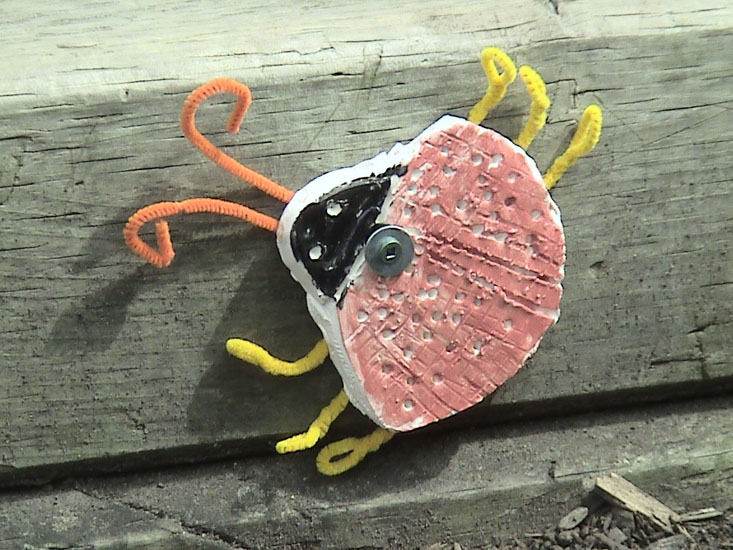 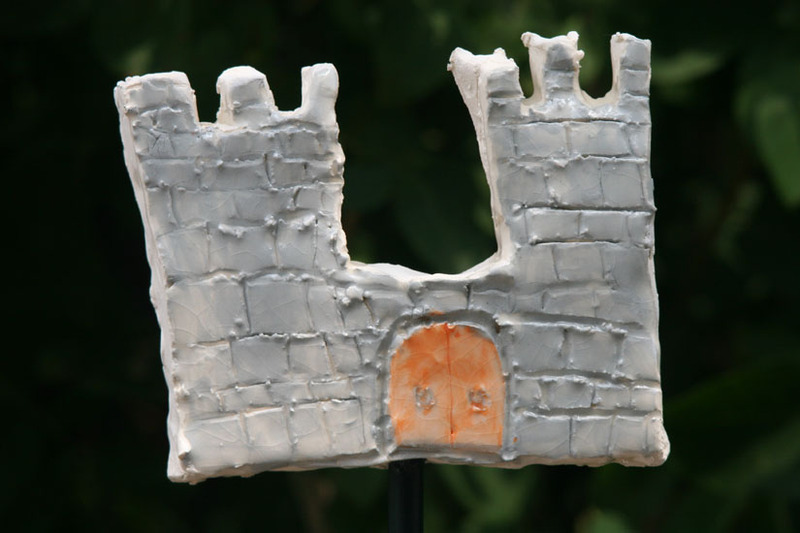 Created by students in grade one through grade five, these garden-based artworks were a means to share their integrated learning in innovative and public ways. 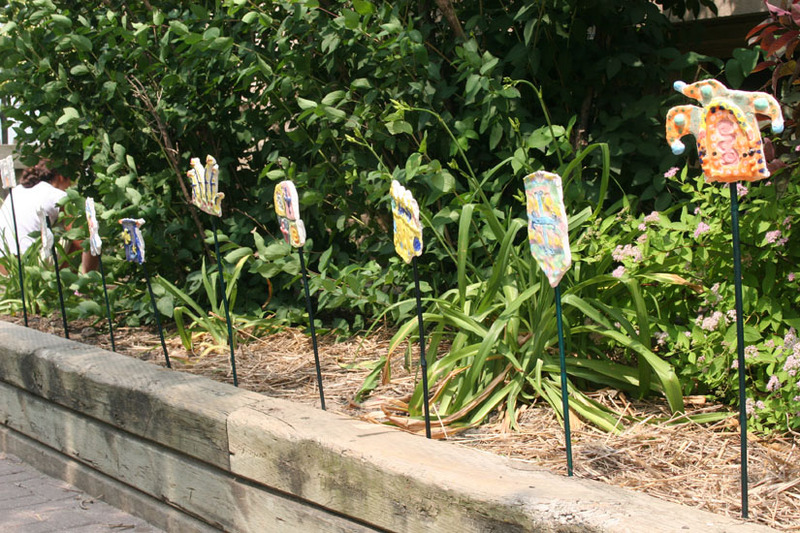 These artworks also took on a stewardship function by keeping other students out of these garden beds where plants had been getting regularly trampled. 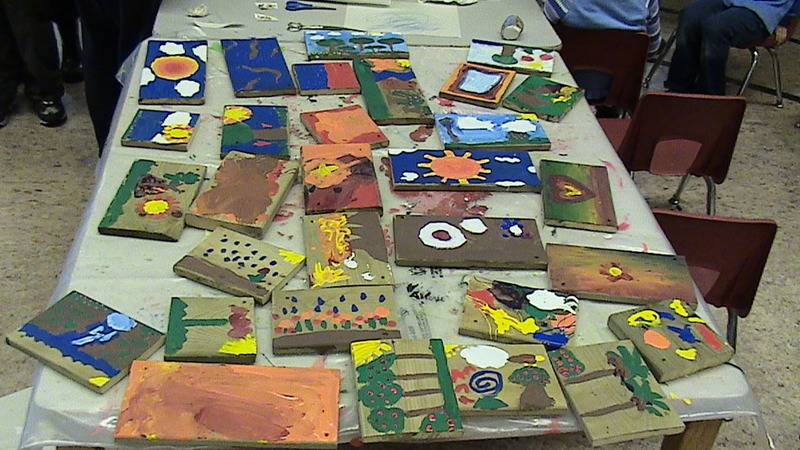 These paintings were created by primary students from JK to grade three over a four year period starting in 2005. 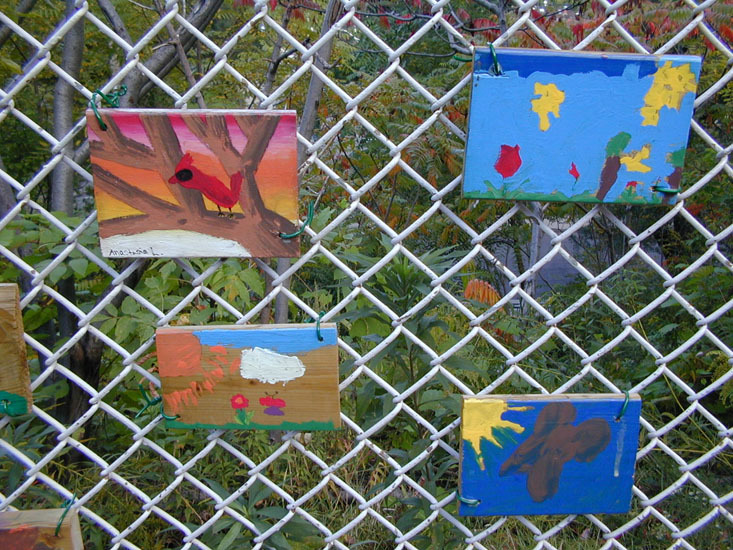 Intended as a way to make their play yard a more welcoming space, these paintings depict aspects of the school’s naturalized school yard. 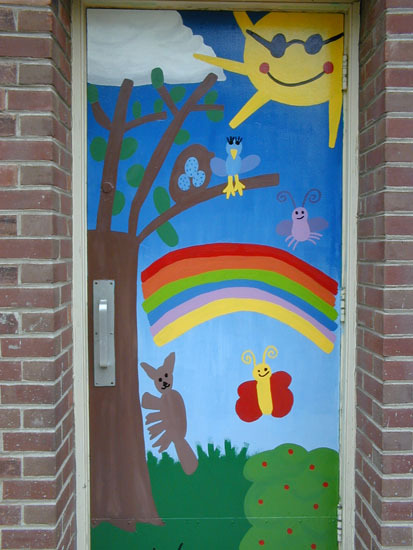 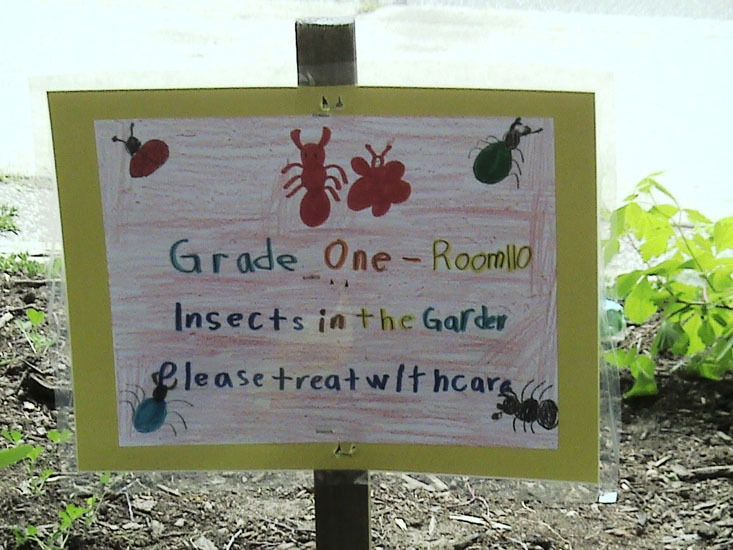 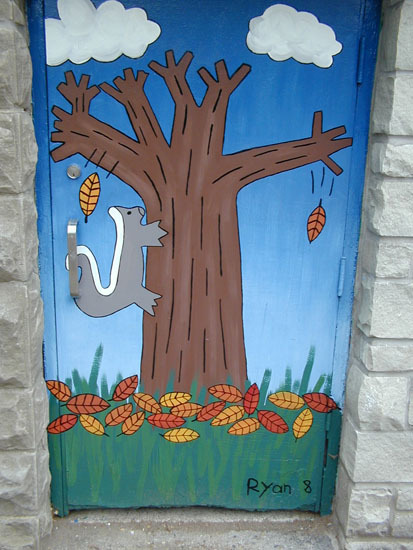 The imagery for this series of door murals was created by JK to grade two students to spruce up their play yard, and was drawn from the nearby naturalized parts of their school garden. 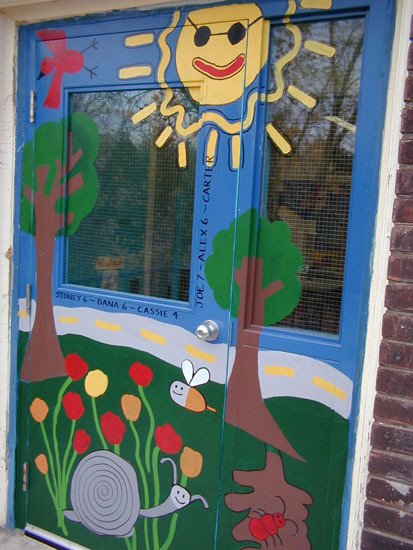 Intended as a stewardship project, these murals have worked well to discourage graffiti on these doors. 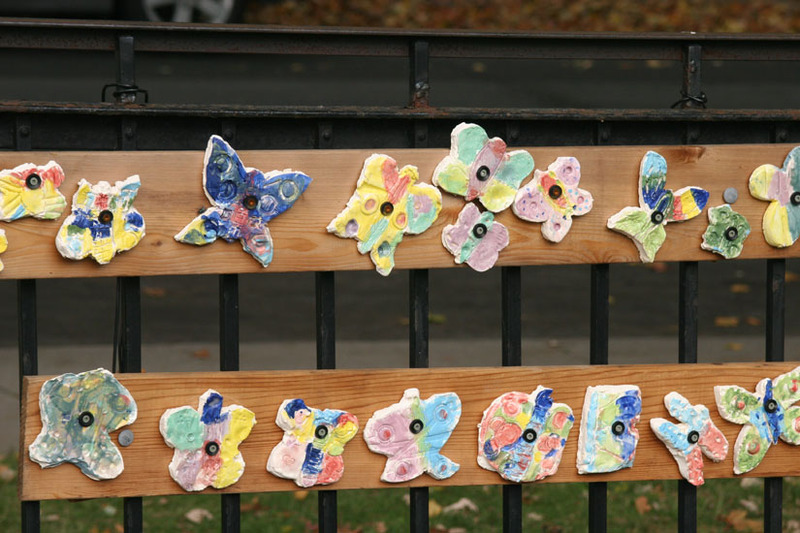 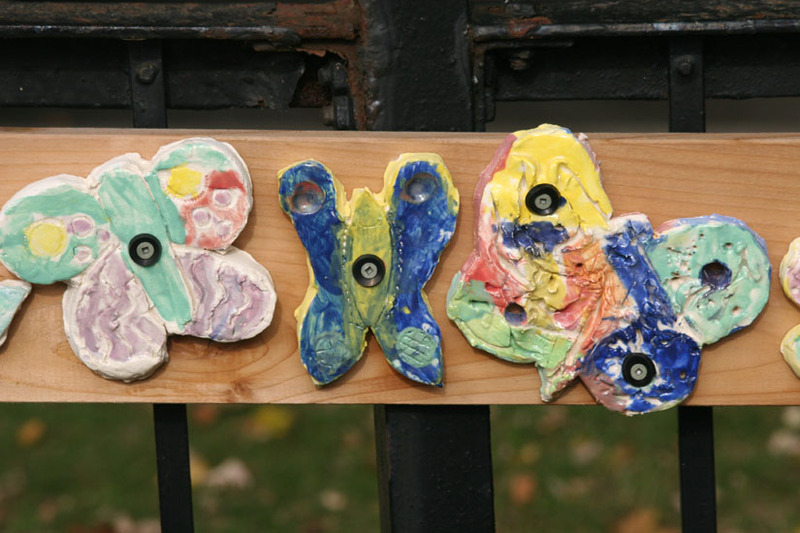 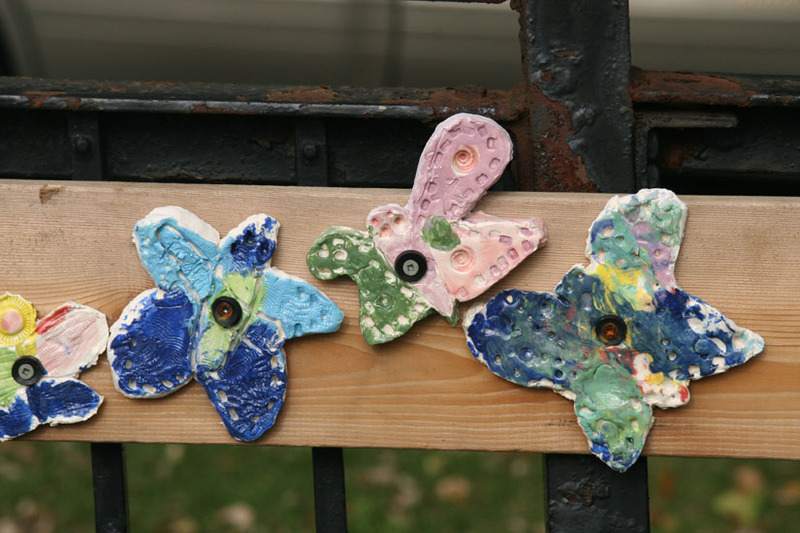 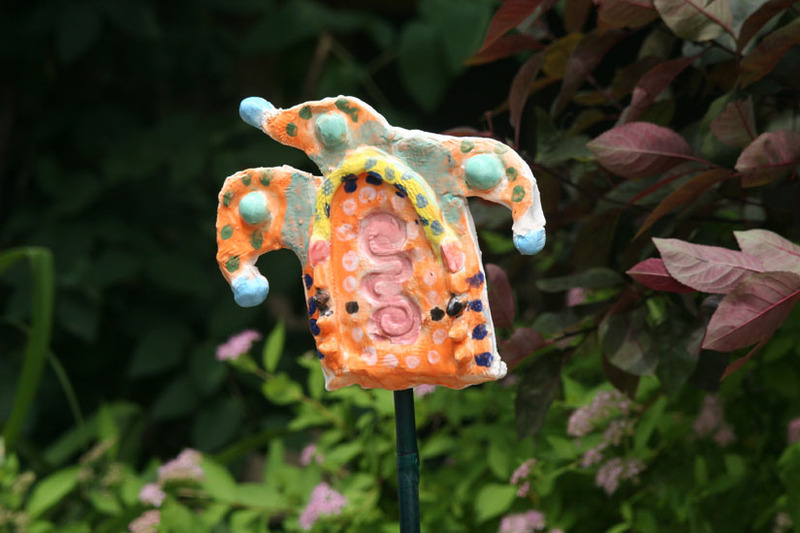 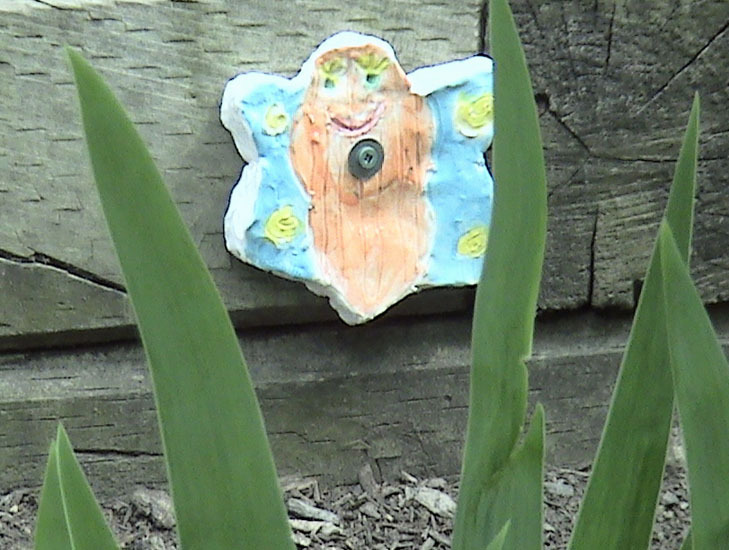 Sculpted by primary students from JK-grade three, these clay butterflies help draw attention to the school’s butterfly garden. 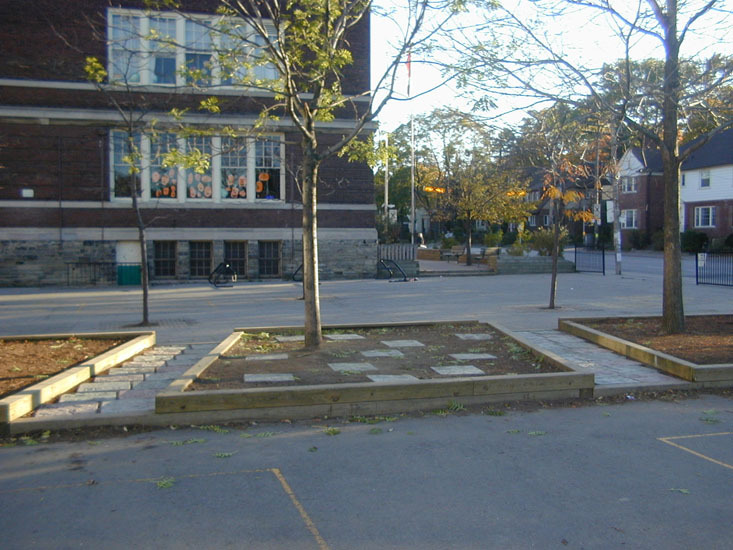 These two pathways started as stewardship project to minimize soil compaction around tree roots in this school garden. 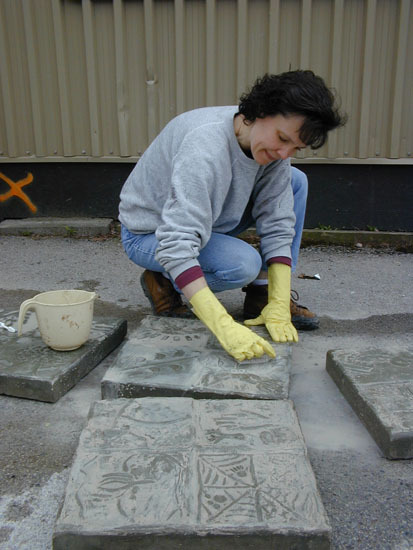 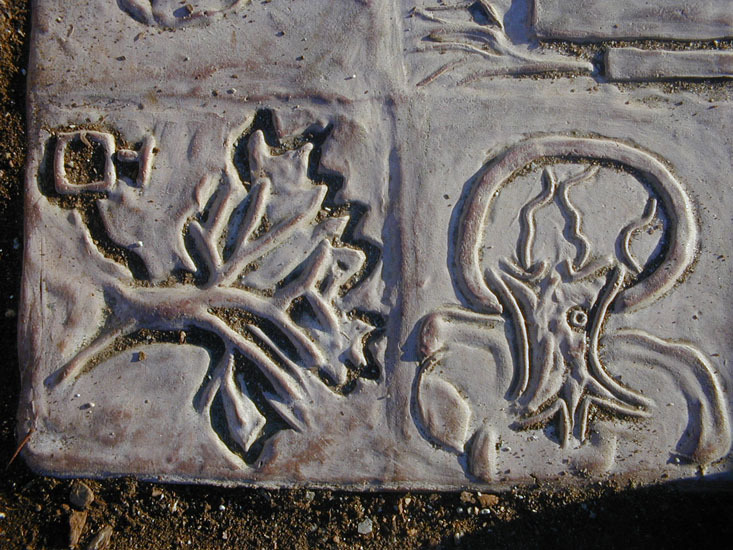 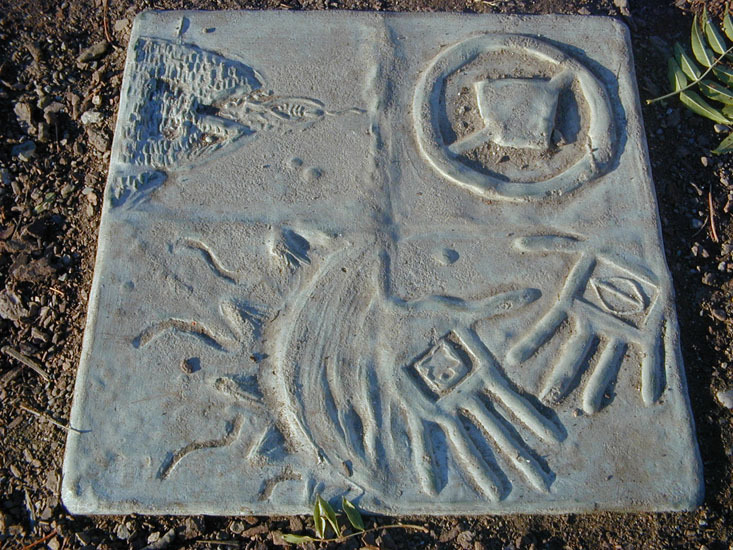 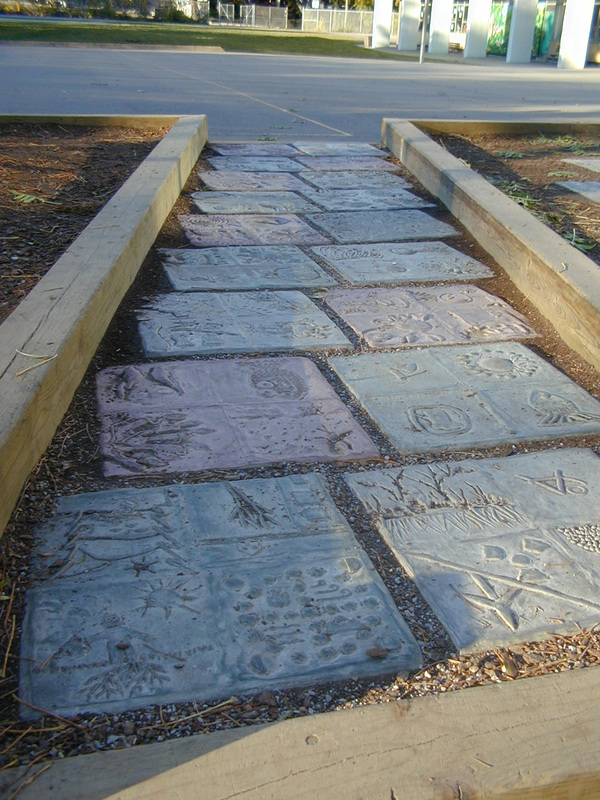 Cast from coloured concrete, two long paths of artistic garden stones were created with environmental images and messages, allowing the artworks to serve aesthetic, practical and curricular purposes. 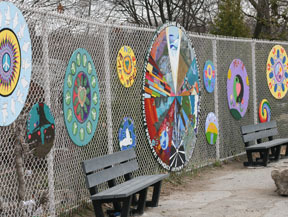 The images were created by 175 grade eight students and the project done in collaboration with artists Lois Dellert and Miriam Grenville. 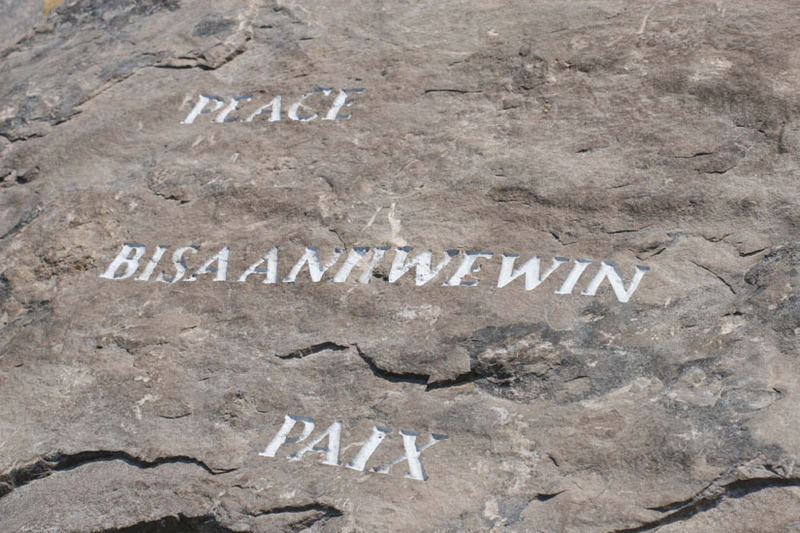 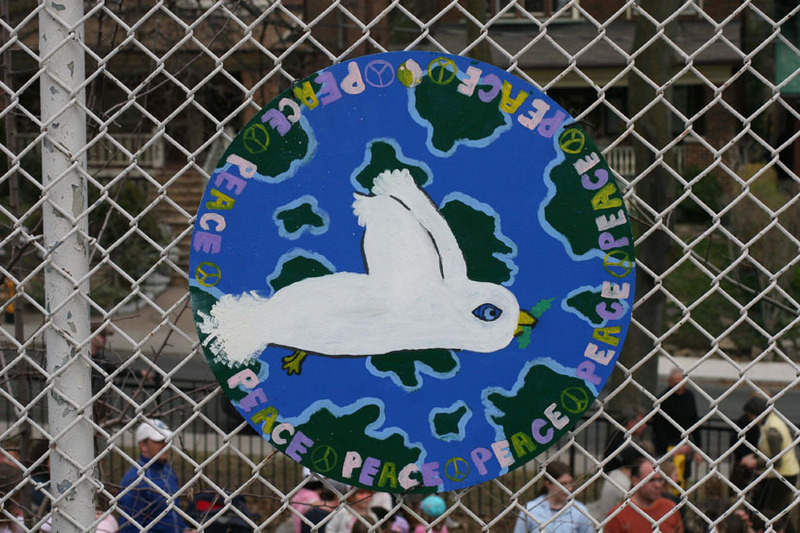 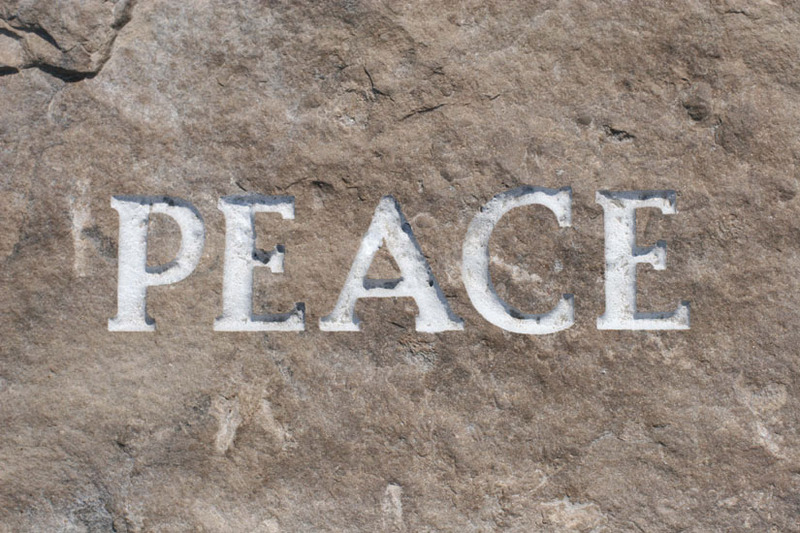 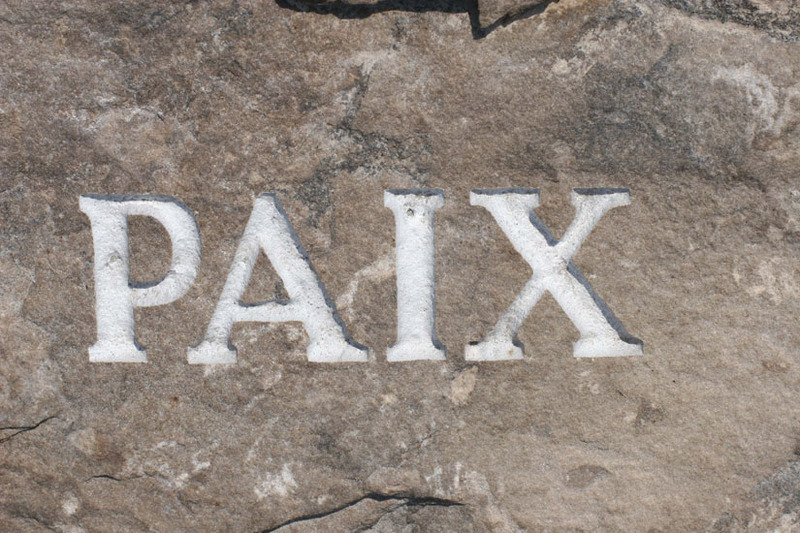 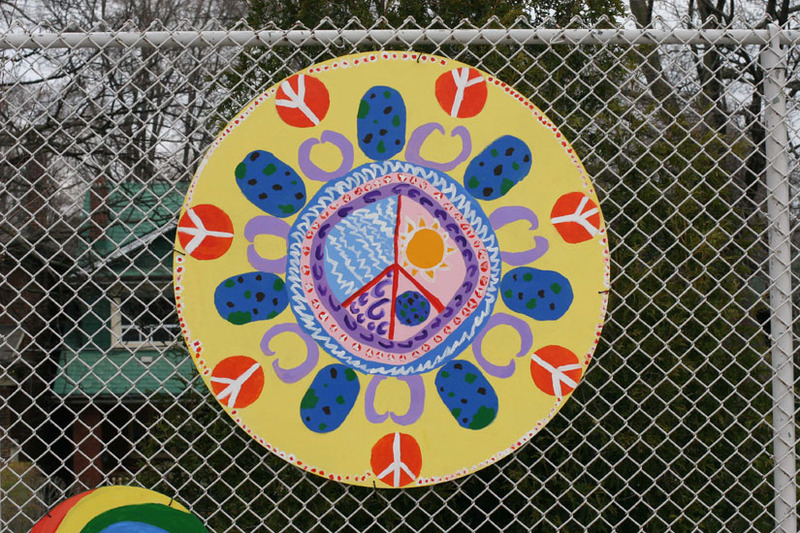 Created as a way to provide a quiet play space in a busy school yard, this Peace Garden used rock seating, tree planting and large mandala paintings to establish a dedicated space for peace education for students and teachers at this school. 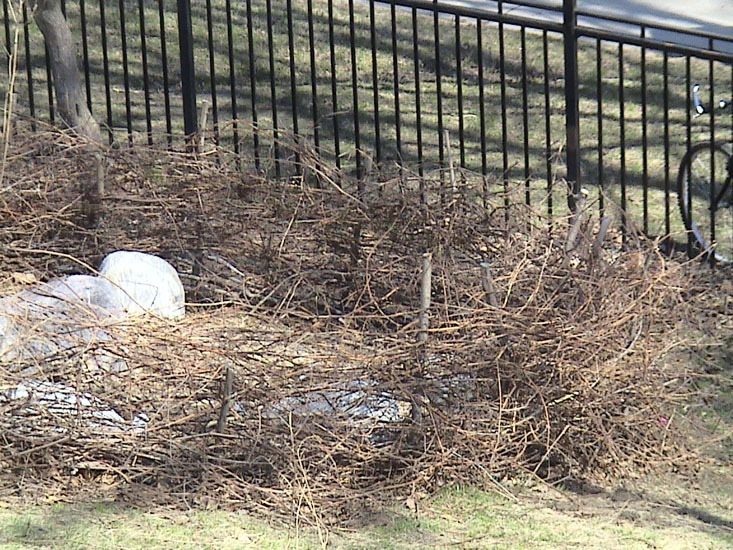 This giant basket was sculpted from grapevine by grade five students to protect their school’s Medicine Wheel Garden, which was getting trampled by other students. 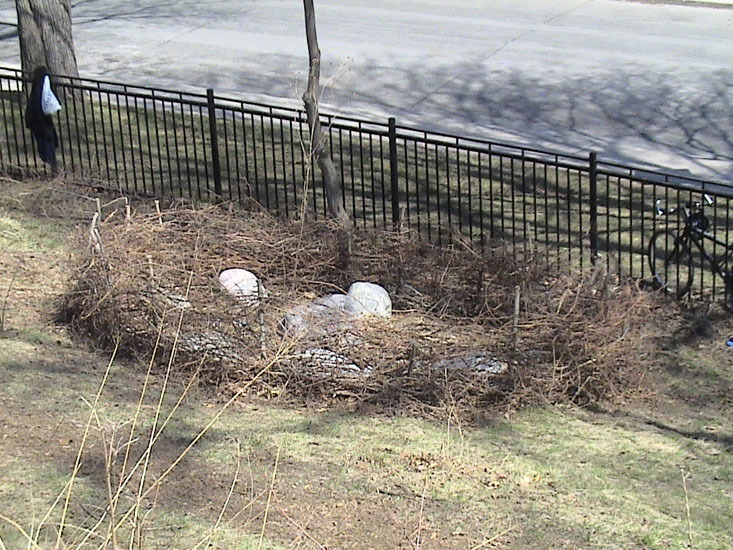 Intended to be a short term solution, the basket lasted about three years before biodegrading on site.